All proceeds will go toward our mission to train and support community volunteers to provide a voice in court and advocate for the best interests of abused and neglected children in the foster care system who need safe and permanent homes. Please click the “Registration” button below to purchase your sponsorship, table(s), or ticket(s). If you can help us out with a donation of an item for the auction, please click the “Donate” button below. 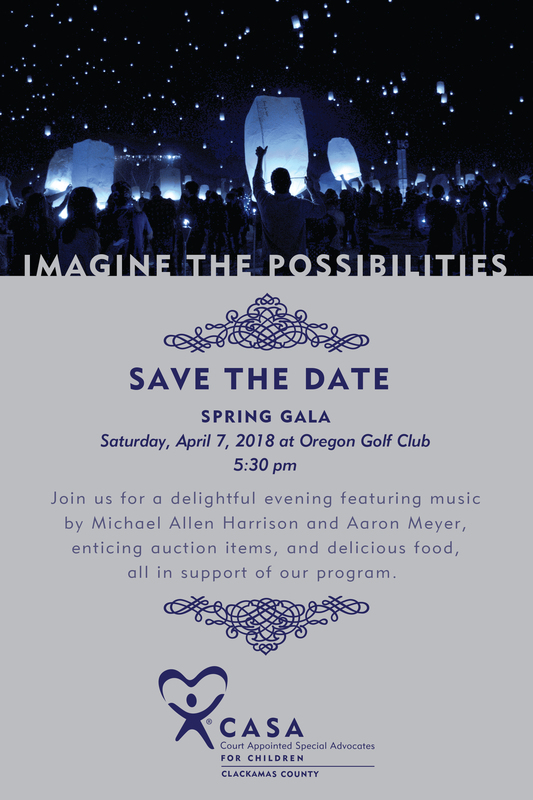 Thanks, and we'll see you at the gala!